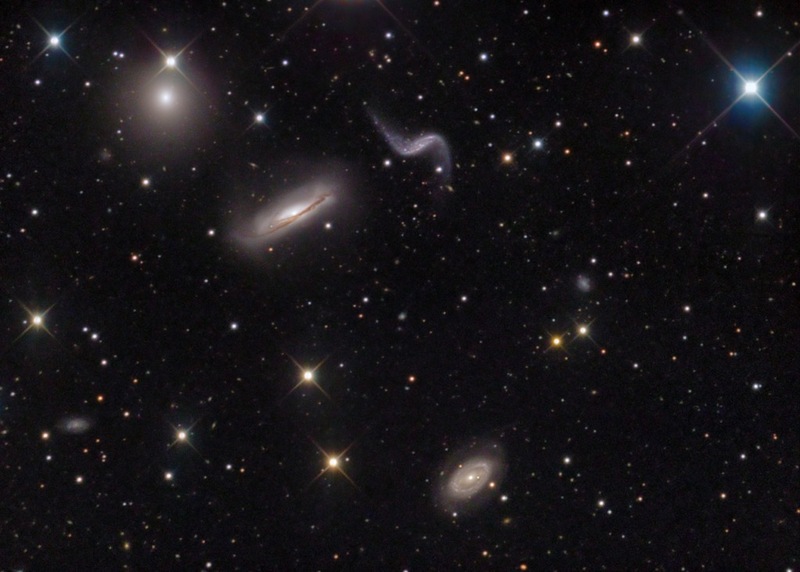 Question: Why are more distant galaxies moving away faster? Answer: As you know, the Universe is expanding after the Big Bang. That means that every part of the Universe was once crammed into a tiny spot smaller than a grain of sand. Then it began expanding, and here we are, 13.7 billion years later with a growing Universe. The expansive force of dark energy is actually accelerating the expansion even faster. But we won’t bring that in to make things even more complex. As we look out into the Universe, we see galaxies moving away from us faster and faster. The more distant a galaxy is, the more quickly it’s moving away. To understand why this is happening, go and get a balloon (or blow one up in your mind). Once you’ve got it blown up a little, draw a bunch of dots on the surface of the balloon; some close and others much further away. Then blow up the balloon more and watch how the dots expand away from each other. From the perspective of any one dot on the surface of the balloon, the nearby dots aren’t expanding away too quickly, maybe just a few centimeters. But the dots on the other side of the balloon are quite far away. It took the same amount of time for all the dots to change their positions, so the more distant dots appeared to be moving faster. That’s how it works with the Universe. Because space itself is expanding, the more further a galaxy is, the faster it seems to be receding. Thanks to Cassandra for the question. Next PostNext Will the Large Hadron Collider Destroy the Earth?